The Galveston Chamber of Commerce is moving to a new downtown office this spring. The Chamber’s new office, which is nearly 4,000 sq. ft., is located at 2228 Mechanic Street on the first floor of the 1873 Washington Building at the corner of 23rd and Mechanic which is owned by Mitchell Historic Properties. In addition to housing staff, the new Chamber office will offer an interactive visitor center and a conference room for meetings and small business seminars. The Chamber is signing a five-year lease with Mitchell Historic Properties and has the option of two five-year lease extensions. 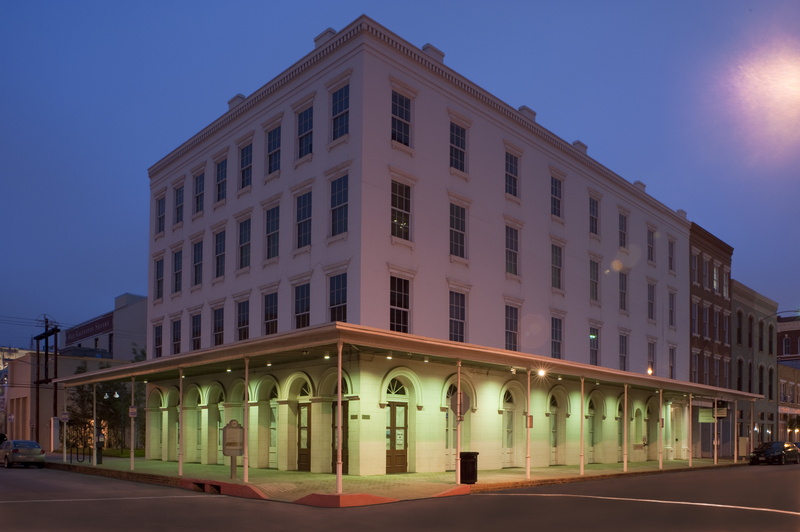 The Galveston Chamber of Commerce is Texas’ first chamber and was established in 1845. The Galveston Chamber of Commerce is a not-for-profit organization that promotes and advocates a business growth in the City of Galveston. The Chamber currently represents nearly 900 businesses. For information, visit www.galvestonchamber.com or call (409) 763-5326. The Washington Building offers first-floor retail space, restaurant space and office space on the upper floors. The Galveston Chamber of Commerce is signing a five year lease with Mitchell Historic Properties for office space in historic downtown Galveston. The Chamber will begin operating from its new offices in spring 2012.